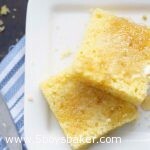 Sweet and so moist, this Buttermilk Cornbread is my all time favorite. It’s the perfect side for soups, pasta or any meal! Oh my heck I’m so late getting this post up today. I’ve just been having too much fun spending time with my son. 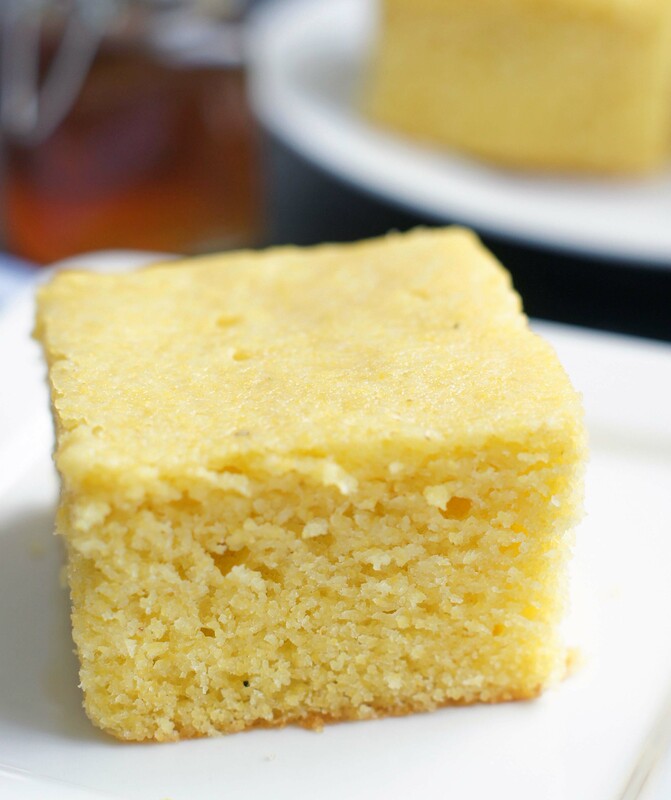 So I’m just going to cut to the chase today and tell you that you need this cornbread in your life. I’ve made a lot of different cornbread recipes over the years, but when I was in Arizona this past January my aunt had made this and I immediately fell in love. I could have eaten the entire pan. It’s the only cornbread I ever make now. I love it with chili and/or soup, but really it goes with just about anything. Super simple to make and is so, so good. We love it with butter and honey and/or homemade raspberry jam. It’s the best ever! Now it’s definitely a sweeter cornbread, so if you don’t like your cornbread too sweet, then leave out some of the sugar. I’ve made it a couple times using half the amount of sugar and it’s still delicious. But I’m not gonna lie, it’s even better with the full amount of sugar. These cooler temps mean lots and lots of soups and chilis at our house and this cornbread is definitely going to be right along side. 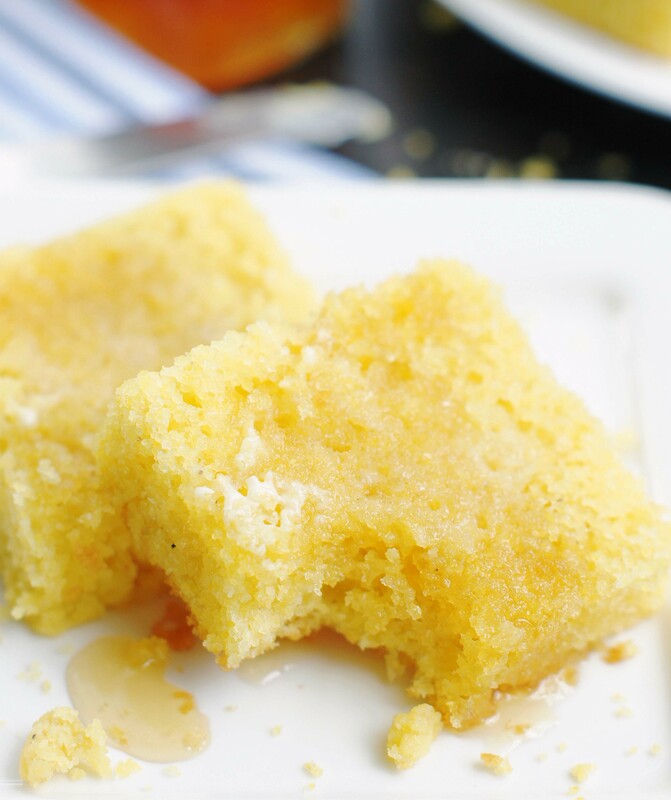 This is a pretty sweet cornbread, I have made it sometimes with less sugar (about 1/3 cup) and it's still super delicious, just not as sweet. So if you prefer your cornbread to be less sweet, then I would decrease the sugar. I love it both ways, but I will say it's probably my favorite with all the sugar added. Preheat oven to 375 degrees F (175 degrees C). Grease an 8-inch square pan. Melt butter in a medium size bowl. Stir in sugar and then add the eggs, beat until well blended. Combine buttermilk with baking soda and add to butter mixture. Stir in cornmeal, flour, and salt until just blended (there will be a few lumps). Pour batter into the prepared pan. Bake in the preheated oven for 25 to 30 or until a toothpick inserted in the center comes out clean. That is the same recipe I use except mine has a little less sugar ( 1/2 cup) . I love this cornbread so much! It’s so easy to make and tastes great!! Oh I love this cornbread Mel! I guess we both know what’s good, don’t we! Hope you guys are doing well. I’m loving your pictures and Instagram, but I am a little jealous :). Jodi, this looks awesome. I am going to make it this weekend as the weather is turning cooler. I found your slow cooker turkey chili, which looks like it would be great with the cornbread. But it had no beans listed. Is it just a meat chili? Thanks!!! Oh my heck, I’m so glad you caught that Teresa. Yes, it does have beans in it, I fixed the recipe, thanks for letting me know. 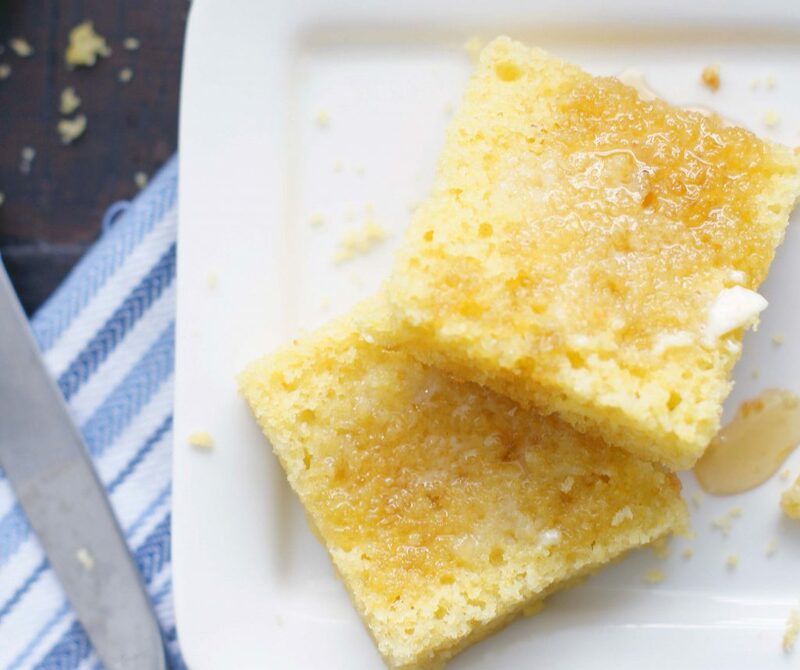 You will love this cornbread! Take care. This recipe turned out great, thanks! Also loved the raspberry muffin with streusel topping.